Available in 4', 5' and 6' widths. Manual adjustment. 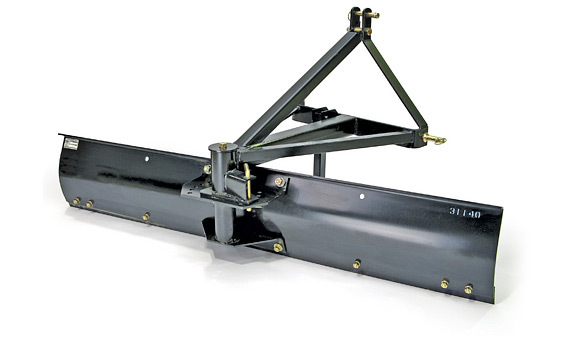 Tilt adjustment is 3-Point Hitch linkage adjustment. Available in 5', 6' or 7' widths. 15° vertical tilt on both sides. Cutting edge constructed of high carbon steel, 1/2" x 6". Available in 7' and 8' widths. 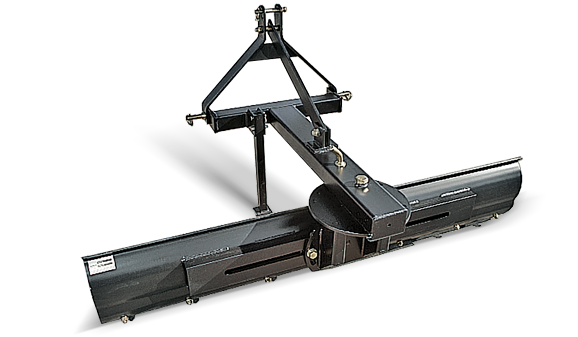 Mechanical linkage. Hyd. adjustment is optional. Cutting edge constructed of high carbon steel, 1/2" x 6". Available in 7', 8' and 9' widths. 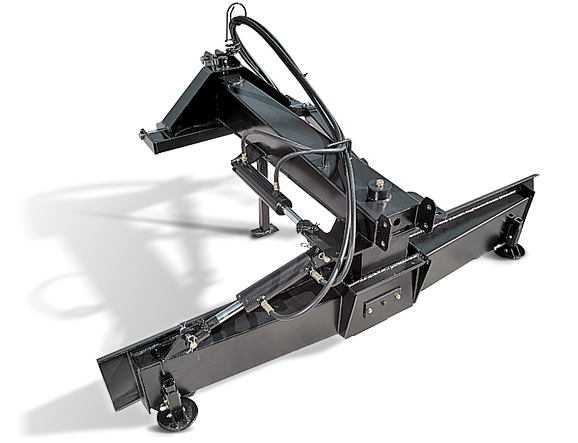 Angle adjustment, offset and tilt can be fitted with either hydraulic cylinders or mechanical linkage. Available in 8' and 9' widths. 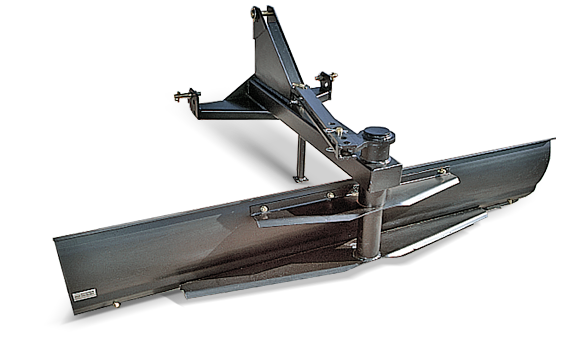 Hydraulic angle adjustment, offset and tilt. Cutting edge constructed of high carbon steel, 1/2" x 6". 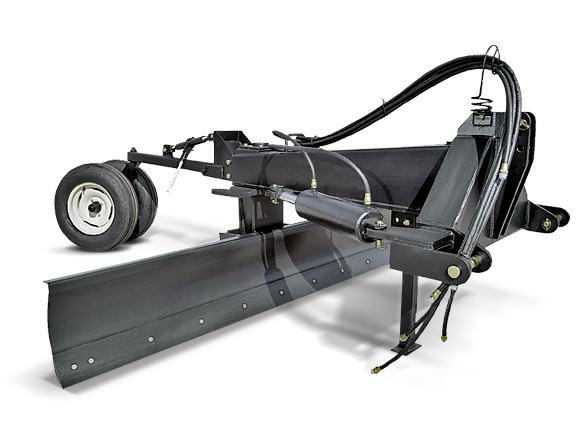 Available in 8', 9', 10' and 12' widths. 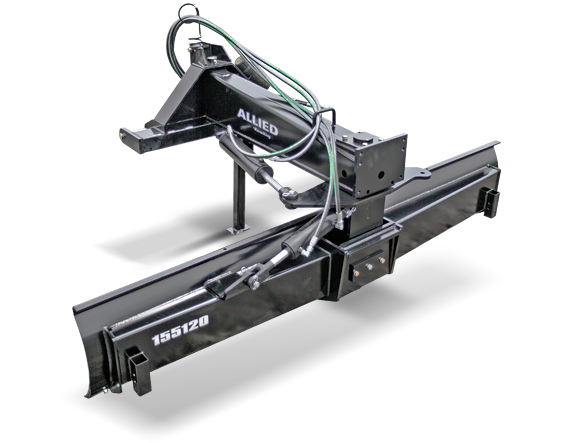 Hydraulic angle adjustment, offset and tilt. Cutting edge constructed of high carbon steel, 1/2" x 6".